Hundreds showed up at the Soul Rio Church to rock out in honor of the resurrection of Jesus. 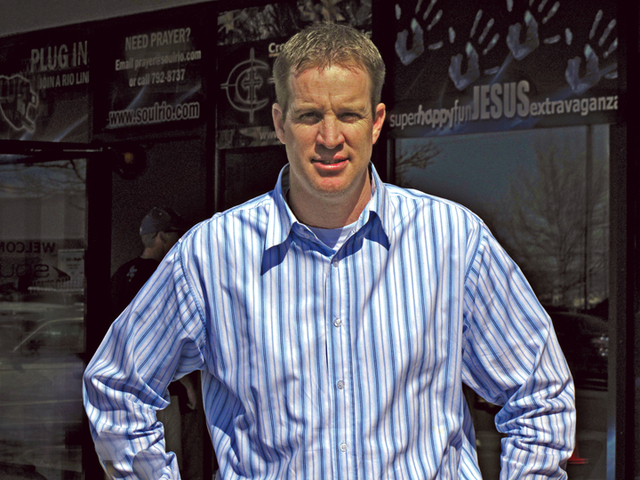 The church is tucked in a strip mall in southern Rio Rancho, and the pastor is Dan Lewis, Albuquerque’s Westside city councilor. Abandoned cats cluster and form colonies in Albuquerque neighborhoods. The unfixed felines mate; the population grows exponentially. Without adequate food, they lead short, violent lives. Dateline: Denmark—Warehouse staff at the Carlsberg brewery in Copenhagen staged a series of walkouts last week in protest of a new company policy limiting beer-drinking at work to just lunch breaks. Jens Bekke, a spokesperson for Carlsberg, told England’s Sky News, “We think times have changed and we need an alcohol policy that is accepted by society—93 percent of Danish companies have an alcohol policy.” Last Wednesday, beers were removed from all refrigerators at the brewery. “The only place you can get a beer in future,” said Bekke, “is in the canteen at lunch.” In response, 800 workers walked off the job. By Thursday, at least 250 remained off the job. The Confederation of Danish Industry and trade union 3F agreed the strike was illegal and would impose fines on workers. Although warehouse staff is now on the wagon, drivers for the brewery are still allowed “up to three” beers a day outside of lunch hours. According to Bekke, alcohol locks on Carlsberg’s delivery trucks prevent the drivers from drinking too much and getting behind the wheel. [Re: Feature, “Best of Burque,” April 8-14] What happened to best stripper???? The national debate on health care hit home for 40,000 New Mexicans with individual coverage through Blue Cross. In February, customers received notice of premium increases as high as 30 percent. Some of them have contacted my office to say they’ve already been forced by earlier premium increases to switch to less generous coverage plans and higher deductibles. They have no options left and can’t afford more increases. The Public Regulation Commission directed Morris Chavez, the superintendent of insurance, to give the Blue Cross hikes a formal review. The increases were suspended pending a Monday, April 26 hearing that will be held at the PRC’s offices in Santa Fe.